GymSkills Advanced is a 90 minute gymnastics class designed for children of various ages whom have shown competency in the Gold Level Skills of GymSkills. Focusing on the advancement of skills and introducing more complex body movements, the program also has a strong focus on building strength, flex and body control with an emphasis on safety. Gymnasts who successfully complete the Bronze, Silver and Gold Levels of GymSkills Advanced will move into the GymStar Challenge Program. The development program is a 3 hour class commitment each week. The program is invite only for gymnasts who have demonstrated determination, increased skill development and levels of strength and flexibility that is required for full body control. The program focuses on technique correction and fundamental skills required in competitive gymnastics. The development programs aims to aid gymnasts in their journey to moving to a competitive program in the future. The development squad is important to teach gymnasts the fundamentals of key skills and body shapes, build strength, increase flexibility, and develop body control and spatial awareness. The program also works to create a willingness to learn while introducing competition etiquette and respect for the sport and those involved at all levels. 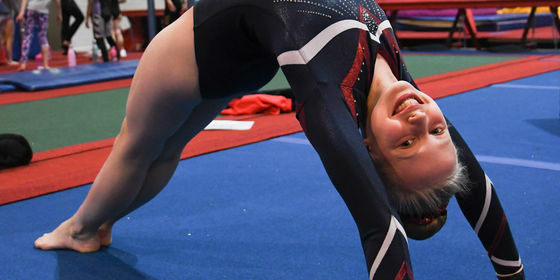 The Gymstar Challenge program focuses on developing a gymnast’s technique and skills required in competitive gymnastics. The development programs aims to aid gymnasts in their journey through the Gymnastics Victoria Gymstar levels. This program allows gymnasts to develop the fundamental key skills and body shapes, build strength, increase flexibility, and develop body control and spatial awareness. The program enables gymnasts to advance to a higher skill level in a fun and relaxed environment. The program also works to create a willingness to learn while introducing competition etiquette and respect for the sport and those involved at all levels. 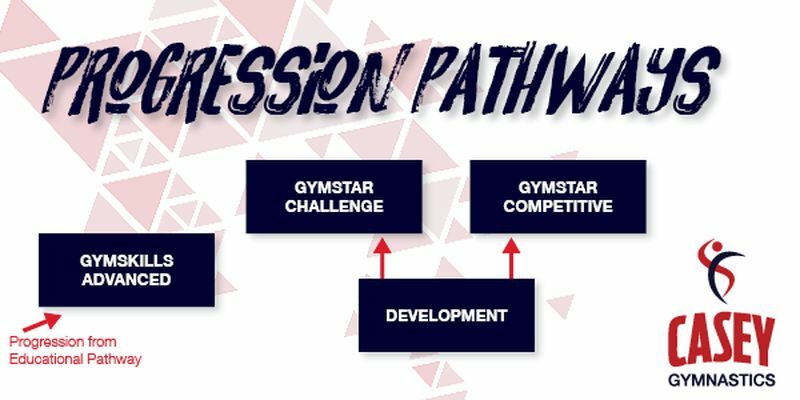 Gymnasts in the Gymstar Challenge program are offered competitive opportunities both externally and internally throughout the year. This is a competitive program that provides the gymnast with the opportunity to grow their gymnastics skills and focus strongly on their technique and execution including acrobatic movements and aerial awareness. Throughout the year GymStar hold competitions for gymnasts to enter. GymStar Competitions focus on participation and teamwork, as well as individual and team achievements and skill development. Gymnasts will attend a minimum number of competitions a year as a part of their commitment to the program. Positions in the program are by invite only. The Australian Levels Program (ALP) is the national stream for competitive gymnastic which focuses on compulsory routines provided by gymnastics Australia. ALP maintains an emphasis on technique and fundamentals of gymnastics. Women’s Artistic Gymnastics (WAG) focuses on 4 apparatus which are vault, bars, beam and floor. Men’s Artistic Gymnastics (MAG) focusses on 6 apparatus which are floor, pommel horse, rings, vault, parallel bars and high bar. Gymnasts will attend a minimum number of competitions a year as a part of their commitment to the program. Positions in the program are by invite only.